We are excited to announce that we have started to plan Couve Couture 2019. This runway show will take place in April 2019 in downtown Vancouver WA. We, Brett Allred, owner of Beigeblond Salon and myself, Alisa Tetreault, owner of Most Everything Vintage have had a busy couple of years growing our businesses and needed some time to breathe and focus. We are back and ready to bring you another exciting fashion show! With our previous five shows we have planned the show and location first and then found our designers. We have started planning, and are very excited for this next Couve Couture (April 2019) as we build our show around our designers. Participating designers will be from Washington, along with a couple of guest designers from outside of the state. We are NOW TAKING APPLICATIONS for Washington (resident) designers. If you, or someone you know, specializes in Couture or Avant-Garde fashion design, please share this exciting news. This is a fantastic opportunity for new talent to be showcased – and we love local talent. Couture – high fashion, elegant, creative and artistic with an emphasis on textiles, embellishments and tailoring. Avant-Garde – high fashion with experimental and radical clothing design focusing on artistic form from head to toe. Lines, textures, embellishments and tailoring are of high importance to give us art on the runway. Applications must be submitted by July 20, 2018. Approved participants will receive an email invitation for auditions by July 22, 2018. Looking forward to meeting our new ’19 Couve Couture designers! If you are interested in becoming a SPONSOR for our ’19 show, feel free to contact us through our above mentioned e-mails or you can comment on this post. Eat, drink and be merry! So many great places to do all three in downtown Vancouver WA. All are open throughout the day so come early for a bite or stay late for a cocktail. OPEN UNTIL 10PM – all ages allowed. SHOW SPONSORS: We are looking for show sponsors for 2017 Couve Couture Spring Fashion Show. If interested, let us know! 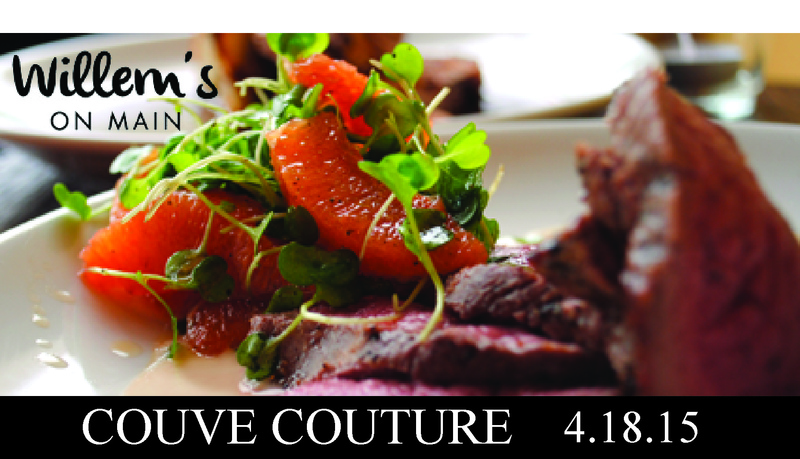 Beigeblond Salon and Most Everything Vintage have come together to create Couve couture Spring Fashion Show. 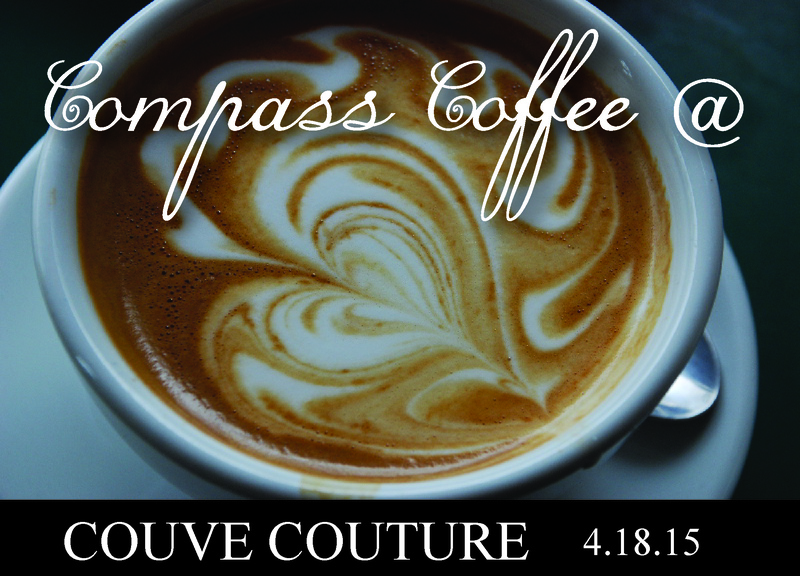 Couve Couture is truly a visual celebration of the extraordinary talent from this area. Not only do we have the wonderful opportunity to celebrate fashion as we bring it to life on the runway, but we also get to support our community and local businesses. By choosing local business and individuals to be a part of Couve Couture, all the money spent on this show goes back into our community. As small business owners, we truly believe in and try to live this concept. SHOW HISTORY: Fall ‘2012 Fashion Show was a great success selling out of tickets (250) before posters went up. We knew we needed to grow and found the perfect save in the Gravitate building (formerly Koplans) for our Spring ’13 show. This location allowed for us to have more designers, models, catered food & drink and 575 attendees on the first level and an upper location for a VIP after-show event. Here, participants were given the opportunity to meet the designers, see the clothes and accessories up-close with the potential to purchase and to ‘live’ in the moment of the event with music, locally created desserts and a little bubbly for toasting. We sold out once again. Our biggest challenge in planning for Spring ’14 was finding a larger space in the downtown area giving us the ability to hold close to 1,000 people. We kept reminding ourselves that ‘this is’ a ‘good’ problem. We were thrilled to hold our Spring show at The Red Lion Hotel ~ Vancouver at the Quay Ballroom. Another sold out show. We have looked at parking lots and structures, tents and parks to allow for a bigger Spring ’15 show. We found something even better… The Historic Academy. We took over the whole building allowing for four very special shows ranging from 75 people to 250 people. Attendees were able to watch the show in the room of their choice; Ballroom, Chapel, Prohibition Room and Hallway allowing for more attendees. We even went for the US record of longest runway! 175 feet and that was only the first half of the show. Spring 2016 – We want to build connections between our designers and the many people who love their designs. In lieu of a traditional fashion show, we will be doing a Couve Couture Spring ’16 trunk show/sale. Meet our incredible designers, get autographs, have pictures taken and be able to buy their one-of-a-kind creations. April 1, 2016 – 5-9pm around the downtown core of Vancouver WA. Showcasing alumni designers; Kate Beeman of Origin, Desi Designs, Kelsey Jennrich, Niki Pappas, Shelley Beauchaine, Alisa Ann of Most Everything Vintage, Stephanie Lynn of Sweet Spot Skirts, Portland guest Wendy Ohlendorf and youth designer Kate Miles. 2 Days of Couve Couture?